Breakfast is a buffet affair. You can select according to your likes and dislikes from amongst fruits and yoghurts, cereals, breads, croissants and muffins. Fruit juices and Lao coffee are at the forefront of the breakfast drinks menu, but we also have a wide range of teas, many of which are produced in Laos. Lao breakfast foods - noodle soup (phø), sticky rice, spicy sauces (kjao), meats, eggs à la Lao - are also available on Sundays. In the evening, we eat together en famille, around our great dining-room table that can seat ten. 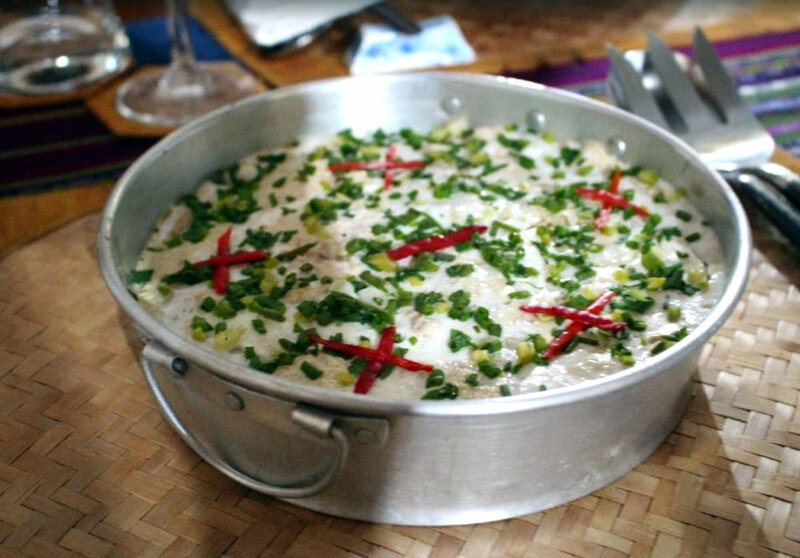 We are a Lao household, despite the English influence, and we love to introduce our guests to the wonderful Lao cuisine. We make sure we cater to suit your taste and requirements - vegetarian, allergies, spicy, Lao, etc. One of the most regular Lao dishes is laap, which comes in many different varieties. Fundamentally, it is ground meat, mixed with herbs such as mint, parsley, coriander and basil and comes in the variety of pork, chicken, duck, beef or fish. Noodle soup (phø) is a very important dish across the country. The only soup on earth eaten with chopsticks! On a base of bean shoots, a bed of quickly cooked noodles is placed. Meat is added (chicken, pork, fish, etc.). Then a few ladles of hot broth are added and you can top it off with a basketful of spices, herbs, vegetables and lime. Many Lao people cannot survive long without green papaya salad. This is green pawpaw chopped into thin strands and then ground up in a pestle with small tomatoes, red chilies and fish sauce. 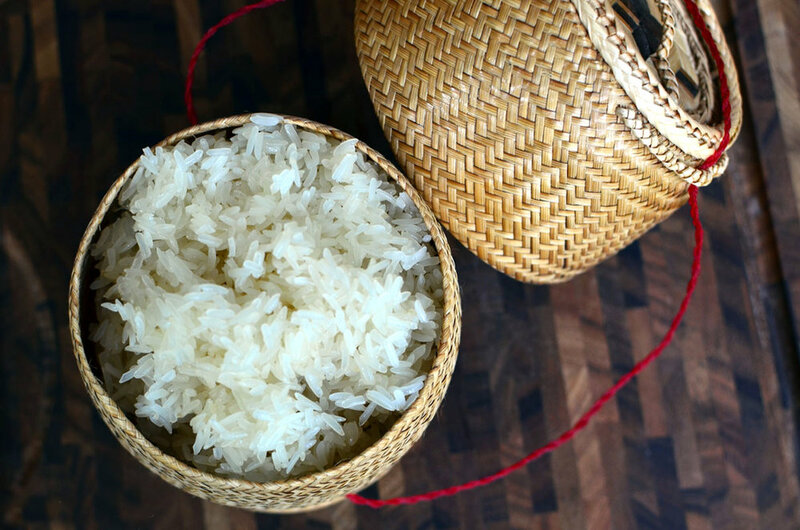 The Lao staple is rice and, amongst the different types available, central is sticky rice. Most non-Lao know sticky rice as a pudding dish, however in Laos it’s a savoury and is eaten with every meal from breakfast to dinner. It is used rather like a chapatti in India, to dip into a kjao (local sauce), and accompanied with a piece of sausage or meat.